Mattel has sold over a billion Barbie dolls, making it the company’s largest and most profitable line. However, sales have declined sharply since 2014. 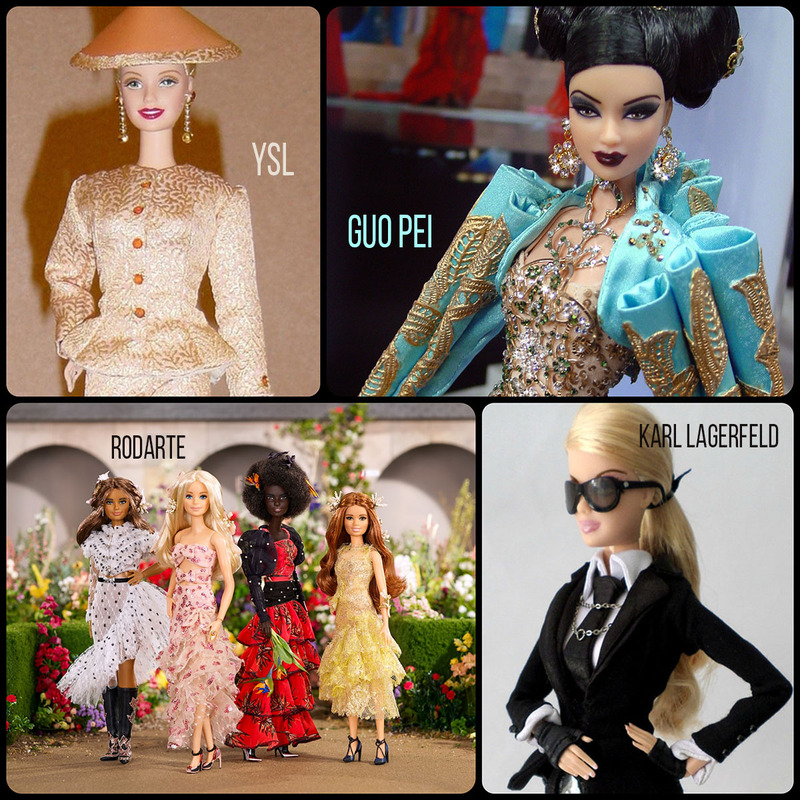 The doll transformed the toy business in affluent communities worldwide by becoming a vehicle for the sale of related merchandise (accessories, clothes, friends of Barbie, etc.). She had a significant impact on social values by conveying characteristics of female independence, and with her multitude of accessories, an idealized upscale life-style that can be shared with affluent friends. Starting in 1987, Barbie has expanded into a media franchise, including animated films, television specials, video games, and music. 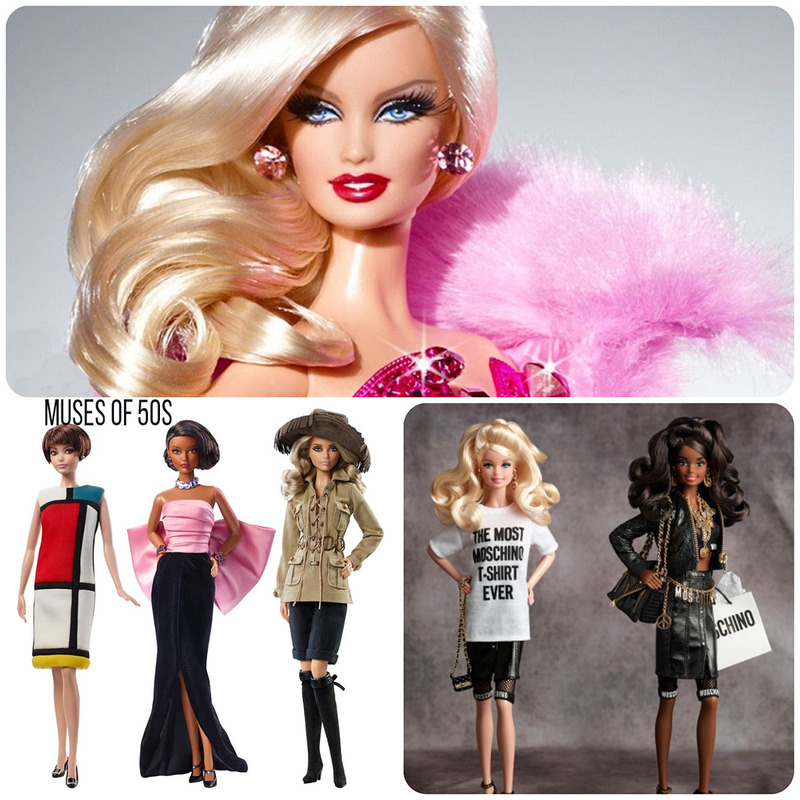 Barbie has become a cultural icon and has been given honors that are rare in the toy world. In 1974, a section of Times Square in New York City was renamed Barbie Boulevard for a week. The Musée des Arts Décoratifs, Paris at the Louvre held a Barbie exhibit in 2016. The exhibit featured 700 Barbie dolls over two floors as well as works by contemporary artists and documents (newspapers, photos, video) that contextualize Barbie. In 1986, the artist Andy Warhol created a painting of Barbie. The painting sold at auction at Christie’s, London for $1.1 million. In 2015, The Andy Warhol Foundation then teamed up with Mattel to create an Andy Warhol Barbie. Outsider artist Al Carbee took thousands of photographs of Barbie and created countless collages and dioramas featuring Barbie in various settings. Carbee was the subject of the feature-length documentary Magical Universe. Carbee’s collage art was presented in the 2016 Barbie exhibit at the Musée des Arts Décoratifs, Paris in the section about visuals artists who have been inspired by Barbie. In 2013, in Taiwan, the first Barbie-themed restaurant called “Barbie Café” opened under the Sinlaku group. 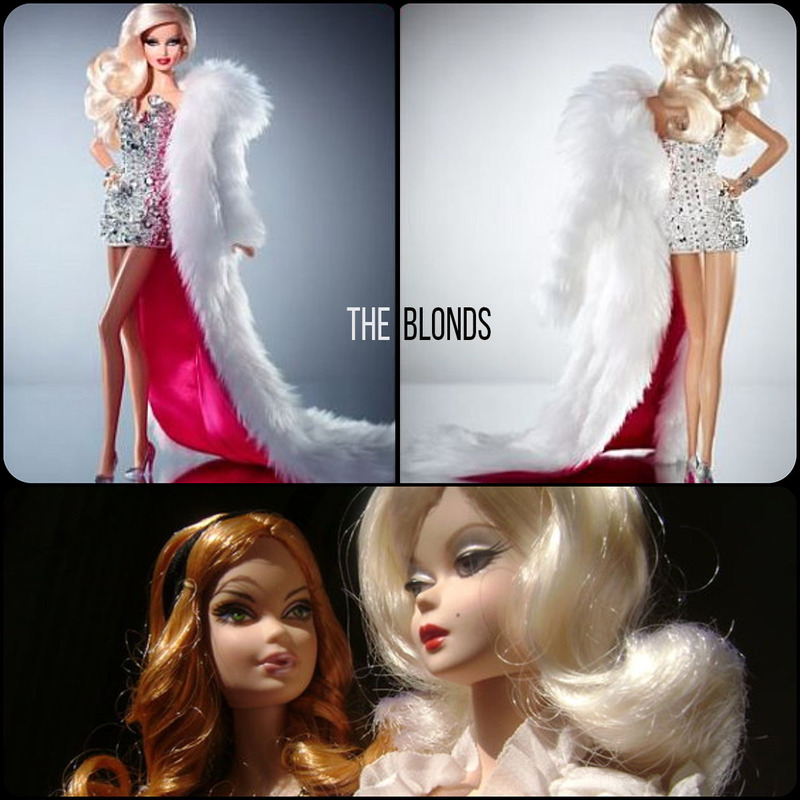 Barbie has collaborated with more than 75+ different fashion designers and has served as creative inspiration to more than 150+ famous designers. The first designer partnership with the Barbie brand was a collaboration with Oscar de la Renta in the mid-1980s. Bob Mackie was the first of many famous designers to collaborate with Barbie on a collector doll in 1990 (shown here). 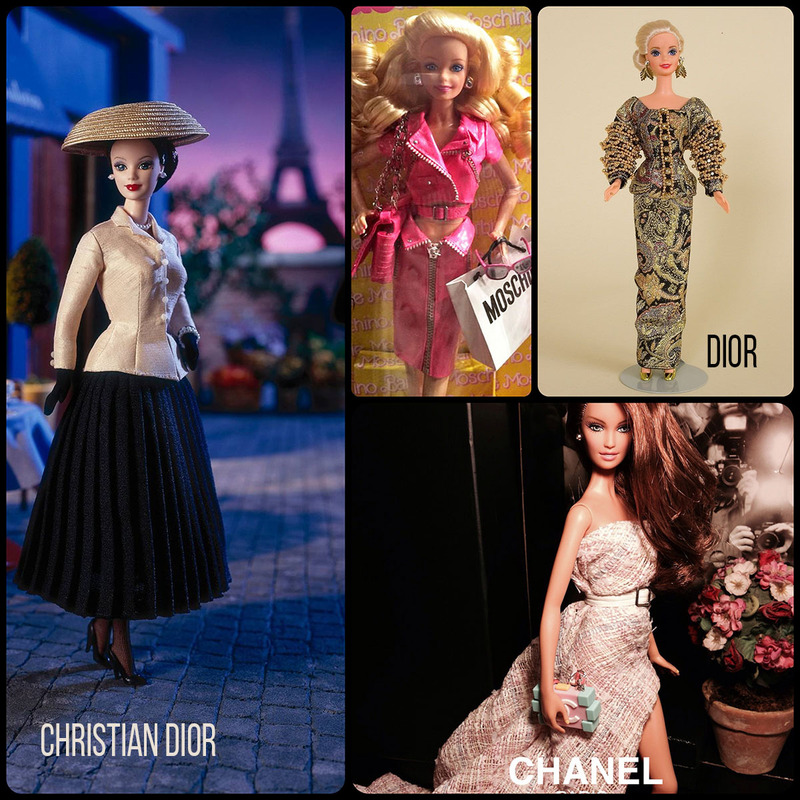 In 2009, Barbie partnered with Christian Louboutin to unveil a collection of dolls and shoes – the shoes were available in both Barbie-size and life size! 50 designers created looks for Barbie doll’s first-ever runway show at New York Mercedes-Benz Fashion Week in 2009. Barbie has her very own fine jewelry line designed by Layna and Alan Friedman called Barbie Rocks. In true Coach fashion, Barbie got more than one mini-leather bag designed for her. In 2014, Sophia Webster designed a line of flats inspired by the fact that Barbie could now wear them with her articulated ankles. Barbie inspired Jeremy Scott’s Moschino Spring 2015 line and launched an exclusive Moschino Barbie doll. 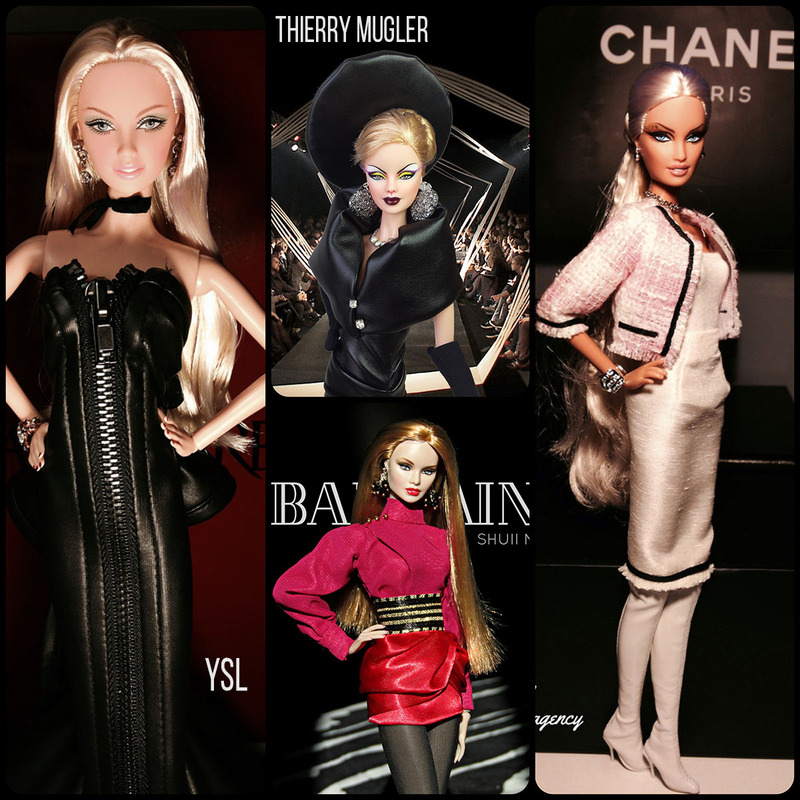 Barbie has been in the likeness of two of the greatest icons even — Karl Lagerfeld and Andy Warhol. “Barbie has been a cherished fashion phenomenon for five decades, so it was exciting to be able to dress her in one of my signature gowns.” – Monique Lhuillier. “The thing I love most about Barbie, is that she is the ultimate muse, she’s worn every style and design imaginable and at the same time she’s had every possible profession you can dream of.” – Jeremy Scott.